Freemasons For Dummies: Attention Stewards and Junior Wardens: World Running Out Of Scotch! Attention Stewards and Junior Wardens: World Running Out Of Scotch! 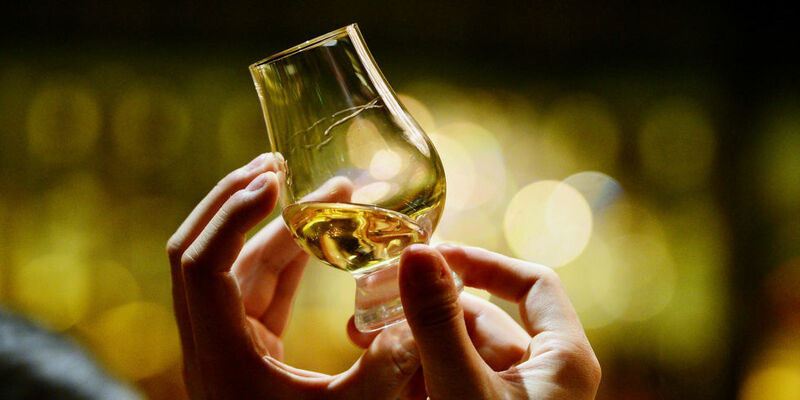 Take note, oh lovers of single malt scotch, and organizers of Festive Boards the world over. To Hell with "climate change" - this is a REAL crisis. Reports are coming in from all over that the world is rapidly running out of the special stuff, and the crisis could last a decade or longer. CNNMoney reports that the global supply of old single malt Scotch whisky is drying up, thanks to increased demand around the world. The shortage is partly thanks to countries like China, where people are clamoring for the stuff. Asia now takes up a fifth of scotch exports, and that's with sales in the U.S. tripling over the years to boot. The effect is similar with Tennessee whiskey and bourbon, where sales are outpacing production and a shortage has been feared. A rocky history in the industry is also to blame for today's scarcity. Decades ago, the whiskey world was on the downswing, which meant that distillers weren't making as much. Now that demand is high, there's not enough of the aged liquor to go around. Distillers are working at a feverish pace to get more scotch to the people, but since it must be aged for a minimum of three years, it's a game of hurry up and wait. The shortage may last for 10 to 15 years. So if you simply must have an aged bottle, get ready to pay up—and maybe choose booze instead of stocks. Bloomberg reports that the Platinum Whisky Investment Fund, the first investment fund dedicated to the stuff, has seen an annual return of up to 17 percent. In case you snort at the notion of something as harebrained-sounding as a whisky investment fund, take note of this sobering fact. The planet's most expensive bottle of Scotch was sold in Hong Kong two years ago - a large, custom made, crystal decanter filled with Macallan "M" whisky, one of only four in the world, went for a whopping $628,205 at a Sotheby's auction.